Rummy is a card game about grouping cards. Played between 2 to 6 players with the standard deck of 52 cards, players have to group the cards into sets and sequences based on certain rules. If played between 2 players, then 2 decks of the standard 52 packs are used. At the beginning, cards are shuffled and each player is dealt 13 cards. The remaining cards form the closed deck. 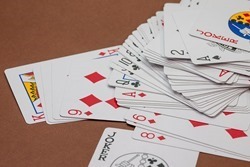 A card is randomly picked and all cards with the same face value irrespective of the suit are considered as the wild card jokers. If you are a beginner learning how to play rummy, the trick lies in how well you use the cards at hand to meld and how soon you declare the show even before your opponents do. Take a look at 3 of these matching strategies that come in handy and help you meld better. 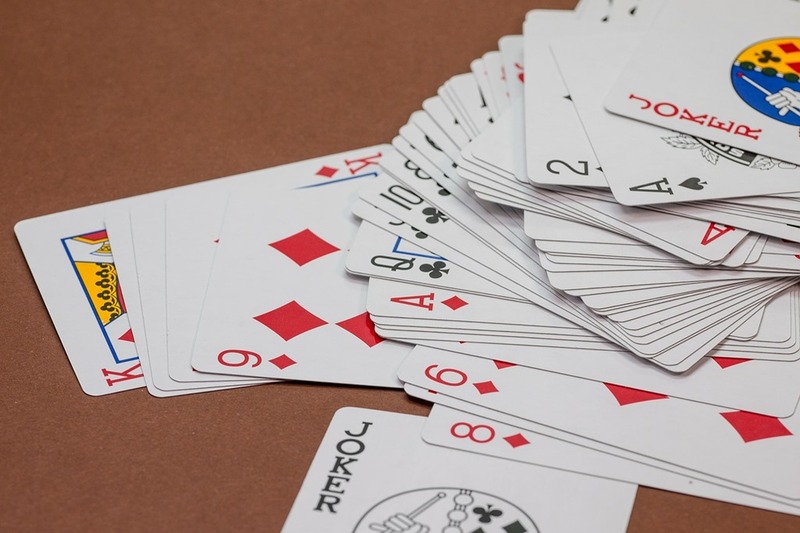 One the unwritten rules of how to play rummy game are to check the cards dealt with you to see if you have enough connecting cards to form sequence. E.g., you have 5 of Diamonds and 7 of Diamonds, and need 6 of Diamonds to complete your pure sequence. If you pick 4 of Diamonds then discard 7 of Diamonds. Now, you can complete either with 6 of Diamonds or 3 of Diamonds. With this move, you will be able to trick your opponent to discard 6 of Diamonds, if he holds. When you play rummy online, cards such as 4, 5, 6, 7 and 8 prove very useful in melding sequences. You can form a maximum number of combinations of sequences with these cards. Think twice before you decide to discard any of these cards. In situations where your opponent has already discarded a middle card, say 7 of Hearts, you may go ahead and discard 6 of Hearts in case you do not need it. However, if your opponent has already picked up the card 6 of a different suit, then be cautious not to discard your card – 6 of Hearts, as there is every possibility of your opponent melding a set. Rummy is an interesting card game. When you play rummy online, your win is dependent on your thorough knowledge of the rules, use of skills and strategies and of course regular practice. If you get skillful in matching the cards, then success in rummy is sure to come by.